As part of National 4-H W eek, 4-H’ers participate in 4 H National Youth Science Day (NYSD), the world’s largest youth-led science experiment. This year’s 4 H NYSD event will take place on October 4. The 2017 4‑H National Youth Science Day Challenge is called Incredible Wearables! This year’s challenge was developed by University of Nebraska-Lincoln and incorporates the fast-evolving field of wearable technology, teaching kids to not only use technology but to create it and understand how it works. From watches and eyewear to fashion and virtual reality headsets, wearable technologies are fast becoming the must-have accessory for forward-thinking people around the world. Wearable technologies didn’t start out as trendy however – one of the world’s first wearable technologies was the hearing aid! Wearable technologies are now used in industries around the globe, from education and sports, to health, fashion, entertainment, transportation and communication. In this year’s challenge, youth use the engineering design process to build a prototype wearable technology that will gather data to help solve a real-world problem. They will design and build their own low-cost wearable health monitor following the engineering design process. This process includes defining the problem, designing and building prototypes (solutions) then systematically testing and evaluating enabling them to redesign for optimization of wearability and functionality. During the innovative, hands-on project, these future engineers must work together to design, build and refine a wearable health-tracking device that is easy-to-use and aesthetically appealing. In fact, youth from Bay County have been training with their adult leaders to teach this challenge to other youth in their community on National Youth Science Day. Jason Scott, from Scott Innovative Solutions and an engineer at NSA PC, teamed up with the Bay County 4-H Agent to teach youth and adult partner teams about this project enabling them to be able to share their knowledge with others on October 4. When participants will attempt to solve the problem of people not staying active enough to lead healthy lives. In fact, youth will build a prototype fitness tracking device that could ultimately be marketed and sold to consumers to positively affect fitness behaviors. After completing the challenge youth will have had an experience of using the engineering design process to build a device to help them monitor their health so they can gather data to make better decisions. They will understand more about how wearable technologies like FitBits, Smartwatches and other wearable devices are made. The field of wearable technologies continues to grow in both quantity and quality. New technologies are being developed and put on the market on a regular basis, including virtual reality and augmented reality devices, clothing and accessories, as well as health monitoring devices. The future of wearable technologies is limited only by the imaginations of those designing them. By studying STEM and participating in this National Youth Science Day Experiment, youth could use technologies to develop products and mechanisms we haven’t even thought of, but definitely desire! To find out more information about other 4-H programs like this or volunteer your time to work with youth, contact your local UF IFAS County Extension Office or visit http://florida4h.org. October is an exciting month for 4-H – we have some great things happening. First, it includes National 4 H Week, October 1-7. This year during National 4-H Week, The Northwest district is proud to celebrate the #TrueLeaders that make our community great. Every child deserves to be recognized for the great things they are doing. Help us celebrate #TrueLeaders during National 4-H Week by shouting out your favorite 4-H’er. #TrueLeaders lead by example, empowering their peers and inspiring communities. 4-H’ers, show your pride this National 4-H Week! Share photos of how youth are stepping up as #TrueLeaders in your county. As part of National 4-H Week, 4-H’ers participate in 4 H National Youth Science Day (NYSD), the world’s largest youth-led science experiment. This year’s 4 H NYSD event will take place on October 4. Our local Tractor Supply Company will be supporting 4-H clubs October 4-15 with their Paper Clover Campaign, this is a national in-store fundraiser that benefits state and local 4-H programs. Tractor Supply invites friends and family to support 4-H by donating $1 at store checkouts for scholarships that send local kids to 4-H camp and other 4-H leadership experiences. October also represent a time when our local tailgating youth will advance to the state finals. The northwest district will have 8 youth advancing to the state competition October 14. October also means that it is fair time! You will be able to view our 2017 4-H youth exhibits across the Panhandle at local fairs and rodeos! Local 4-H youth will exhibit their artwork, plants and animals that they have been caring for this past year. Youth exhibits and plants are judged. 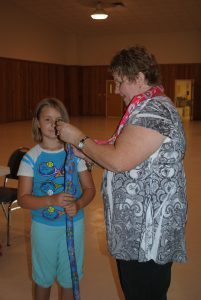 Youth receive ribbon awards using the Danish judging system at county and regional fairs. This means that exhibits are judged against a “standard” rather than against other exhibits. For example, a painting that has been created by a 4-H’er is not compared to other paintings. Rather, it is judged according to the criteria of standards for paintings. A blue ribbon means that the exhibit meets high standards and good quality work is shown. October and November are busy months in 4-H. To find out more information about other 4-H programs like this or volunteer your time to work with youth, contact your local UF IFAS County Extension Office or visit http://florida4h.org. 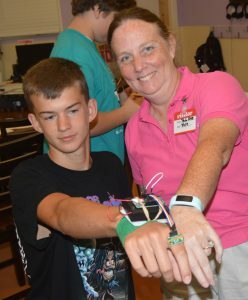 HughesNet and Florida 4-H have teamed up to help youth learn how to use science and technology to solve problems! Most people think of camp as a break from the fast-paced technological world, but that’s not always the case. With a $10,000 grant from HughesNet, Florida 4-H is introducing technology in a meaningful way across our state this summer! As a result of the sponsorship, 340 youth will learn about the engineering design process, and how to use technology and engineering to solve real world issues such as energy, water and conservation. 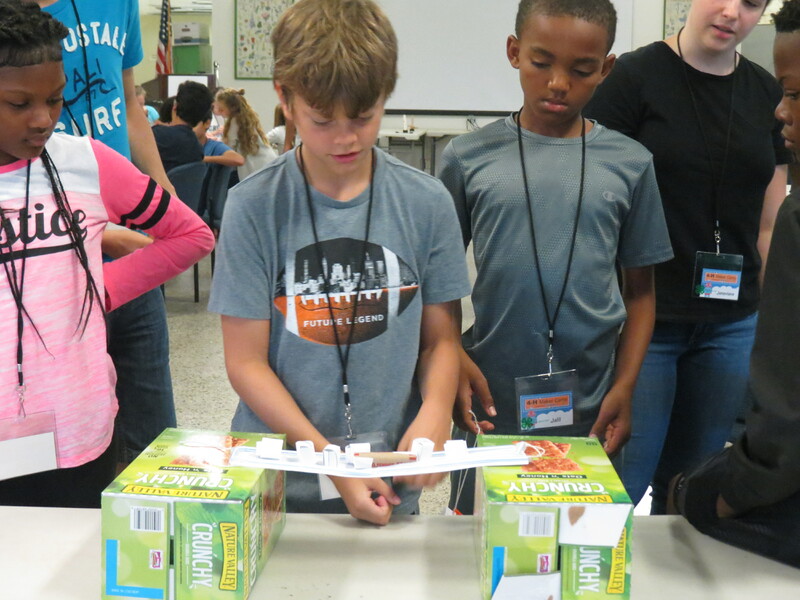 During one camp, youth learned how civil engineers design safe bridges to transport people, food and medical supplies. STEM in action! 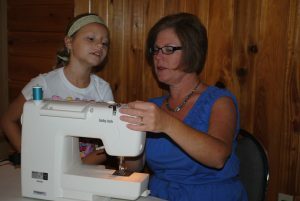 STEM at Camp is part of a national effort by HughesNet and National 4-H Council to spark youth interest in STEM topics. Florida was one of four states selected to receive a Summer Camp STEM grant. The other states include Illinois, Maine and Virginia. This is the third consecutive year that HughesNet has supported STEM at Camp programs and the first year that Florida has been a recipient of this funding. Next week, Florida Panhandle youth have two camps to choose from: Bots by the Bay at 4-H Camp Timpoochee and Wildlife Camp in Monticello, Florida. During Bots by the Bay camp, youth will learn how to program 3-dimensional printers to print, build and test robots and cars. During Wildlife Camp, youth will learn how technology is used to protect natural resources and grow our agricultural industry. Our goal is to spark an interest in using technology to solve real world problems that affect our food safety and supply, as well as our overall quality of life. National 4-H Council and HughesNet are dedicated to sparking youth interest in STEM topics through hands-on, community-based STEM learning. 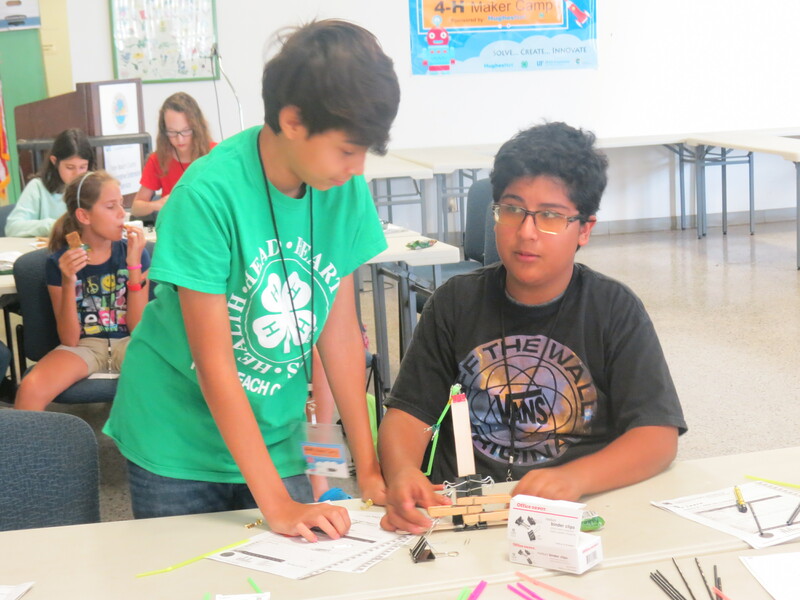 In addition to STEM at Camp, HughesNet works with National 4-H Council to support STEM programs such as the 4-H Youth In Action STEM Pillar award, National Engineering Week and National Youth Science Day – the world’s largest youth-led STEM challenge. This year’s experiment, Incredible Wearables, helps youth explore the world of wearable technology as the design, built and test a fitness monitor. 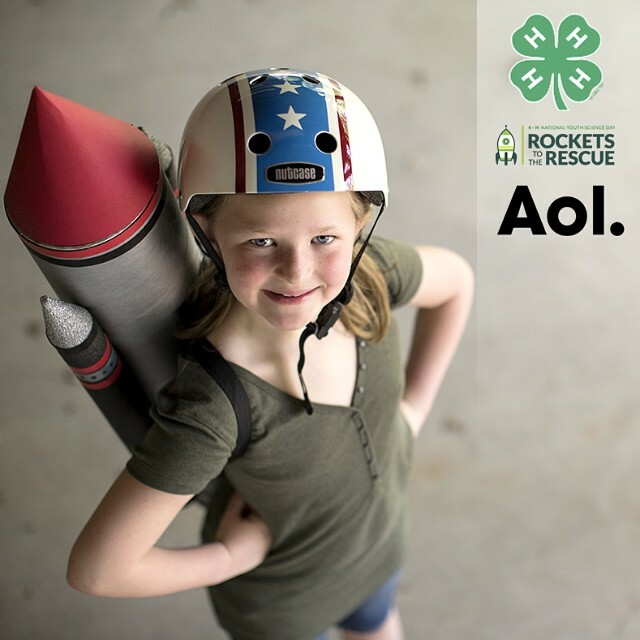 If you have a passion for technology, or simply like to help kids learn, consider becoming a 4-H volunteer. For more information about 4-H, visit our website or contact your local UF IFAS County Extension Office. These DIY neck coolers are great to help youth learn about sewing AND science! Even though it is not yet August, the Florida heat is sweltering. Staying hydrated is key, but you can also stay comfortable outdoors with a neck cooler. The neck cooler helps cool the blood pumping to your head and is a very effective way to prevent heatstroke when you need to be outdoors. This project is also a great beginner sewing project for 4-Hers and volunteers! This project is from the online Maker Movement Magazine. It is also a fun way to tie in the science of hydro-gels polymers. Hydro-gel polymers are long molecule chains that absorb water efficiently and easily. They are used in agriculture to prevent soil erosion, conserve water and even soak up toxic spills from our environment. A great extension of this project would be the Helpful Hydro-gel Experiment by Steve Spangler- the 2008 National 4-H Youth Science Day Experiment. 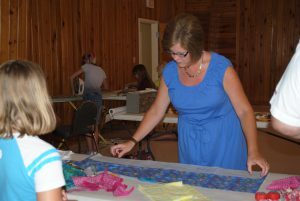 Fold the piece of fabric lengthwise (right sides together) and press to form a tube. Stitch a 1/2 inch seam across one end and down the length of the fabric. Turn the tube right-side out and press. From the stitched end of the tube, measure 4 1/2 inches and stitch a seam across to make a pocket for the hydro-gels. On the open end of the tube, use a funnel to pour 1 tsp of dry hydro-gel beads inside the pocket. Next, fold the ends of the open tube inside and stitch securely. To activate the gels, simply soak in cool water. Tie around your neck and stay cool! Today is 4-H National Youth Science Day (NYSD) – a day dedicated to engaging kids with science through a hands-on science experiment. This year’s experiment – Motion Commotion – will be conducted by thousands of kids across the nation as they will learn about physics, speed and safety. 4-H has been fostering curiosity about science in youth since the very beginning. Today we are still dedicated to providing the hands-on experience in STEM (Science, Technology, Engineering, Math) to give kids the life skills they need to succeed today and the career readiness to succeed tomorrow. Programs like 4-H NYSD offer youth an opportunity to learn about science in a fun, dynamic way and spark their interest in all areas of STEM; from animal science to aerospace. Apply what they have learned about physics and safety to create community awareness about issues like distracted driving, seatbelt safety and helmet safety. The 4-H NYSD Experiment Kit contains everything you need to successfully complete the Motion Commotion National Science Experiment. The Motion Commotion science experiment kit can be purchased from the 4-H Mall, or contact your local UF IFAS Extension Office to see if a kit is available to check out for your club or classroom. You can help 4-H grow curiosity in your community or school by becoming a 4-H volunteer. 4-H offers a wide range of opportunities for volunteers to share their science-related interests and passions. Together, we can grow the next generation of science literate workers, voters, and community activities! Visit http://florida4h.org/volunteers for more info.